On Friday January 29, 2010 a Montgomery County Circuit Court Judge approved class certification in the lawsuit against Montgomery County's contingent fee speed camera contract with ACS State and Local Solutions. This is a significant step forwards in the case which was originally filed in May 2008. A jury trial is scheduled for July 12th, 2010. 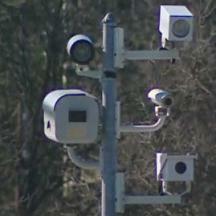 The lawsuit alleges that because the county pays ACS a $16.25 cut of each ticket it violates a provision of the state’s speed camera law which specifies that "If a contractor operates a speed monitoring system on behalf of a local jurisdiction, the contractor’s fee may not be contingent on the number of citations issued or paid." Montgomery County claims that the provision does not apply because they assert that the county rather than ACS "operate" the cameras. ACS has substantial control over the system with their own press releases stating that "ACS processes violations; generates and mails notices; schedules adjudication and appeals appointments; provides document imaging and correspondence management; provides walk-in customer service; maintains camera equipment; and provides pay-by-web, pay-by-phone, and integrated voice response systems." The State Attorney General's office issued a Letter of Advice supporting the county's position in March 2008. That letter of advice a) is not an official attorney General's opinion and did not go though the same extensive review process (read about the difference on the OAG website) b) nullifies itself with the hedging language "if the facts are different than I have understood them, a reviewing court may well come to the opposite conclusion. ", and c) was written a full year after the contract was in effect at a time when the governor was trying to push statewide speed cameras through the 2008 General Assembly. Per-ticket payment contracts are preferred because they can guarantee the programs will make money for the government. However they also give the contractor an incentive to try to maximize the number of tickets issued, and may be seen as a legal conflict of interest because the contractor who gathers and processes evidence for court cases has a financial stake in finding defendants guilty. Montgomery County officials publicly stated several times in 2008 that they would eliminate the per-ticket payments from their contract, including in statements to the Gazette, in an online forum held by County Executive Leggett, and in a letter from Police Chief Manger to AAA. Instead the county quietly renewed the current per-ticket agreement in early 2009. The governments which are defendants in this case have issued a total of over 1.3million citations to drivers under their contracts with ACS since they started in 2007. Montgomery County expects to reach $62million in net revenue by June of 2010. If the jury rules against the County, many of the tickets issued under the contract might need to be refunded, however the Local Tort Claims Act may to some extent allow the county to dodge liability for having broken the law. The cities of Rockville, Gaithersburg, and Chevy Chase Village are also defendants in the case. A judgment is unlikely to end the county's program since alternative contract arrangements such as flat monthly fees, time and materials, or purchasing cameras outright are still possible. Many other local governments have signed similar contingent fee contracts within the past year, including (but not limited to) Baltimore City, Bowie, New Carrollton, and Riverdale Park. Those cities would not automatically be forced to refund any tickets if Montgomery County loses its case, however they could be forced to change their contracts and/or be held liable in another lawsuit should the court decide against Montgomery County. The case will also decide a very important principal: is the government required to obey the law, or are they allowed to interpret any inconvenient restriction out of existence, or simply break them, if it is expedient to do so? Recipients of tickets issued by Montgomery County, Gaithersburg, Rockville, or Chevy Chase Village who wish to join this suit should send a letter to the respective local government stating that they will be making a claim against them regarding their citation. Under the circuit court ruling, a requirement of the Local Tort Claims Act may limit the case to those ticket recipients who notify the government issuing the citation within 180 days of the alleged violation about their intent to make a claim. We will provide more details on this and a sample letter in the near future so please check back.